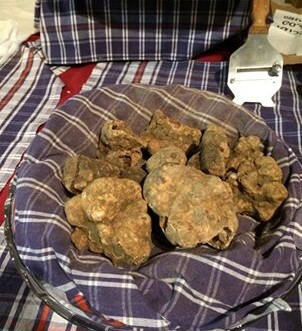 Our winemaker Paul is back from Italy and we have truffles on our mind. The truffle season usually begins the 1st week of October and runs through December. Shown in the above photo are White truffles or “trifola d’Alba” (Tuber magnatum). 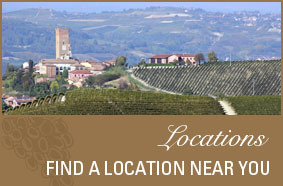 There are two main areas for truffles from Italy – Alba in Piedmont (the main distribution area) and Acqualagna in Marche which is nearby to the Angelini Estate. In Italy, truffles are most often used as an ingredient in pasta, risotto and egg dishes. It is early in the truffle season, which often means that the truffles are less fragrant and tend to not last as long. 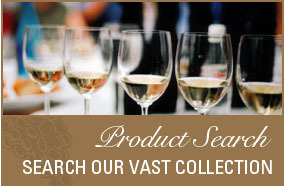 The bouquets and aromas are not as powerful and persistent as truffles harvested later in the month of October or early November. This year, it seems that due to the rainy season experienced in Italy, many harvests are running about 3 weeks late. So, we will look forward to enjoying our truffles in later November this year. 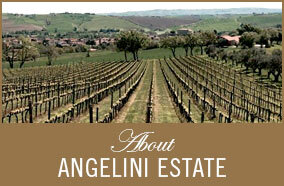 In case you are wondering…we suggest pairing Truffled Eggs or Omelet with our Angelini Estate Sangiovese Riserva.